A new Canadian study reveals a connection between eye movements and memory formation. Although this is the first study of its kind, scientists believe they’ve discovered a key mechanism in how memory works in the human mind. 16 people took part in this experiment, all of whom were in their 20s. Investigators at the University of Toronto scanned patients’ brains with an MRI and tracked their eye movements with advanced technology while they asked participants to look at an image and then visualize it in their mind. When participants had to recall the picture they were shown, investigators noticed the activity in the brain and eyes was similar to when they first saw the image. 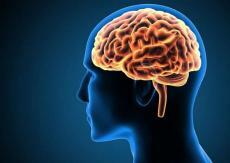 This suggests the brain uses specific eye movements to help with memory recall. Of course, more research needs to be done to better understand this phenomenon. Researchers hope this information could potentially help better understand how short-term memory works and develop better therapies for people suffering from memory impairment. Dr. Bradley Buchsbaum, who teaches psychology at the University of Toronto, was the lead author on this study. A few other key researchers from the University of Toronto on this study include Drs. Michael B. Bone, Marie St-Laurent, and Christa Dang.